Crouse-Hinds Reducing bushing is suitable for use with rigid/IMC conduit. It features copper-free aluminum construction. 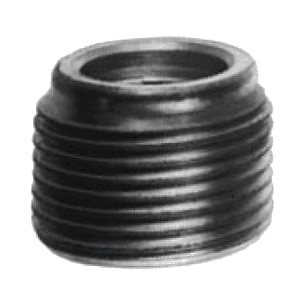 Bushing of trade size 1-1/2-Inch x 1/2-Inch, has threaded connection. It has full, clean cut tapered threads. Reducing bushing is UL listed, CSA certified and meets NEC/CEC standards.